ANSWER: Starting a food business is both stressful and exciting. It is one business, though, that will always have a demand. However, the ability to cook good food and tasty desserts is not a guarantee of commercial success. Knowing how to cook and starting a business are two different things. While you now have mastered the techniques of your craft in the culinary school, your next step is to learn how to start and operate a business. Before anything else, you need to form a realistic and clear picture of what you can feasibly sell to make money. The first step is to identify what type of food item you will produce. Particularly, you need to determine what product the consumer will purchase and continue to purchase. You indicated that you specialize in the creation of desserts, which is still a fairly large food group. Determine your niche, and decide whether you will produce baked goods such as cakes and cookies, refrigerated products, canned food, among others. Do you plan to open a bakery or a restaurant? Or are you thinking of becoming a caterer, or supplying one with your desserts? 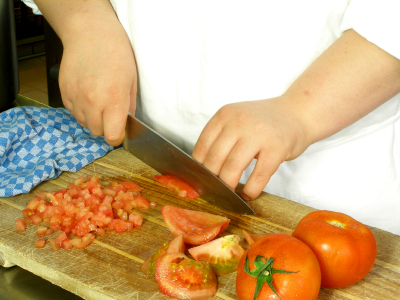 Do you want to become a personal chef? You also need to ask yourself if you want to limit your offerings to desserts. 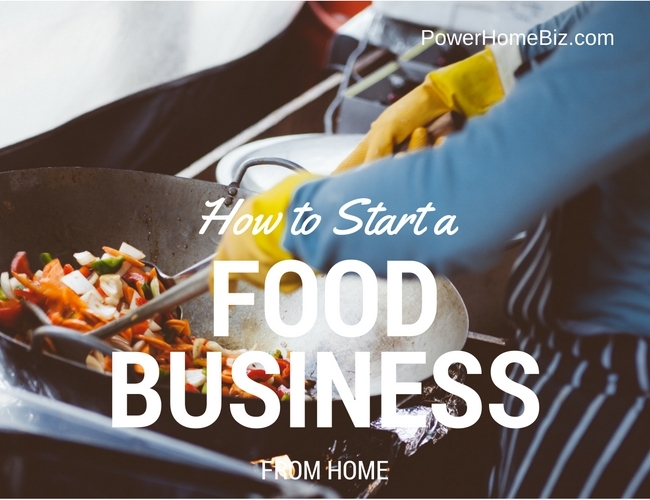 Instead of simply following the age-old rule of going for what you know, you may want to branch out to other food businesses that may meet your goals and provide you with the returns you expect. You can opt to become a sandwich shop owner, a gourmet food store provider, or a take-out restaurateur. You can open a soup restaurant, a wrap restaurant (for everything tortillas), or a soup booth in the mall. There is a wide range of businesses you can develop. Make a list of what you want, and put down your strengths and weaknesses. Be sure what kind of business would suit you most. If you have excellent people skills, you may choose to specialize in made-to-order wedding cakes. If you prefer to control the entire process of food creation, you may decide on a business with little or no direct interaction with customers. One of last year’s winners of the Small Business Person of the Year Award, Michael Reagan of Arizona and owner of a FastSigns franchise, took the time to research the business most suited to his personal traits and goals. As he told us, “Every time a thought came to me about the characteristics of a business I would like to have, I wrote it down in a piece of paper.” At the end of the day, he “had about 103 characteristics of the business that I want.” He then matched these characteristics with existing business ideas and opportunities, until he identified that he is most suited to join a well-known signs and graphics network. You can adopt the same approach in your business identification process. Starting a food business is not easy. You need to be able to develop a product that will satisfy a consumer need and return a profit. The product must be of high quality, adheres to safety standards and fill a marketing niche. Moreover, you will spend hours of testing and research to come up with a winning recipe that is suitable for commercial production. Look for ways to ensure that your products will not change its appearance and color as a result of chemical reaction between ingredients. Other quality parameters you need to check include texture and flavor. Tests should also be done to determine whether your products have an adequate shelf life, particularly if you will display your inventory. Think of ways to address common food handling problems, such bacteria, mold, and yeast. Room conditions such as light also cause product or quality deterioration. It is important to know how long a new product must be kept and under what temperate and other environmental conditions. As part of your preparatory stages, conduct a taste test. It does not need to be an expensive one: call your friends and give samples to your neighbors. Try to get as many people to sample your product. Have a list of questions ready. The results can help you evaluate its commercial potential and determine if there’s sufficient demand to make your business profitable. After product identification and testing, your next question is: Do you have the production technology to develop the product? If you are planning to sell wedding cakes, do you have enough room in your house to bake, store, package and transport them? There are some counties that restrict commercial cooking done at home, so be sure to check first. If you plan to do the production in another location (e.g. rent a cafeteria, etc), look at the drainage, ventilation, waste disposal, lighting, equipment size and flow, energy conservation, safety, sanitation, ease of cleaning, and storage area. Make sure that everything is in compliance with government regulations. An important element of food products is consistency. Hence, you need to establish processing controls to ensure consistent quality during production, particularly if you have employees helping you out. You need to set up control procedures to check if standards are being met during production. If not, you need to be quick to introduce corrective actions to prevent losses and spillage. An excellent tasting food item is not enough to move products. It must be attractive to consumers. Here is where packaging becomes important. Consumers want colorful, attractive, conveniently packaged forms. Packaging should not impart flavor to the product or react chemically with the food. It should be lightweight, economical and resistant to tearing. Your marketing strategy will depend on your business. But first, you need to know the best distribution system and sales outlets for your products. Options include retail food stores, specialty shops or boutiques (selling unique or gourmet food items), roadside stands, flea markets, or the front door of your processing plant. If you are planning to sell through a retail store or specialty shops, you may need sales promotions and advertising. The method of distribution will influence other business decisions, such as price, the size of container and number of containers per carton. Most food businesses often introduce their new product in a limited area. You can start in your neighborhood, and expand to progressively large areas (statewide, regional, national) as the business grows. Some products may be better suited to some geographical areas than others, so it is important to have several variations of your product. If you are looking to commercialize your food products, you can first start out selling mainly to institutional trade. Look for one that sells to retail outlets, even smaller ones initially such as privately owned stores or small chains. You may be able to penetrate the larger chains if you have already established a name for your products. They often look for products that are heavily advertised by the company. Note that selling in retail stores entail getting a Universal Product Code (UPC) displayed on the label, which you can get from the Uniform Product Code Council. You cannot expect to start a food business without doing research on laws and government guidelines. The exact state and local agencies that you will need to contact depend on the type of business, type of facility and the location of your business. Some food businesses are required to have an owner or employee to get special food handling training to become a Certified Food Handler. Even mobile businesses have special requirements. In many areas, food may not be manufactured in the home for distribution. The local Public Health Department inspects food sold at the place of production, while food manufactured for wholesale distribution is under the supervision of the state Department of Agriculture. If you build a processing facility, this too will be inspected by a representative from DA before start-up. Given that most specialty foods cross state boundaries during distribution, your business will also be subject to federal regulations. The federal agencies responsible for food safety are the FDA and the U.S. Department of Agriculture (USDA). Carefully review the government regulations before embarking on this business. Bringing a skill or talent is your first step to starting a business. However, for your food business to grow and flourish, you will need to embody the personal characteristics of an entrepreneur. First off, you must have confidence in your ability to succeed and a tolerance for risk. You will need hard work, strong organizational skills, good interpersonal relations, flexibility and a high degree of commitment. Most of all, you need to have fun and love what you do. A food business would be lucrative because there will always be consumer demand for food. However, it food establishments have to comply with very strict health and sanitation standards, which is something business owners should prepare for. Online food business is a profitable business idea. Some people are afraid of the cost of website development and some do not have technical knowhow. But e-commerce platforms like Yo!Yumm make it very easy for the startups to launch their own online food business with low investment. Making simple and good quality food ensures your business success. If you run a small business then it is very important that you take the time to find out about video marketing. Video marketing is one of the easiest, least pricey and most effective manner ins which a small company can promote. Marketing videos are simple to produce, and due to today’s modern video production methods, are also really low-cost. A marketing video can be used to produce any type of image for a small company. They can be utilized to display your company’s services and products, information the business’s slogan or principles program or merely increase the number of individuals recognize the business’s name and its brand name. Any business that has yet to find the advantages of video marketing is currently behind the times. Your company could be generating brand-new user interest, creating lots of leads and promoting its products all over the web if it used online video marketing. Hello, your guide really help me and inspiring me for my project, thanks… keep posting! you really have a blog that is great! want to make some invite stuff on my weblog? Its such as you learn my thoughts! You seem to grasp so much approximately this, like you wrote the e book in it or something. I think that you simply could do with a few % to force the message house a bit, but other than that, that is great blog. A great read. I will definitely be back. I must show thanks to the writer for rescuing me from this incident. After looking through the world wide web and coming across advice that was not productive, I figured my entire life was well over. Living without the approaches to the problems you’ve fixed by way of this review is a critical case, as well as ones which might have negatively affected my career if I had not come across your blog. Your actual competence and kindness in taking care of every item were priceless. I am not sure what I would have done if I hadn’t come across such a stuff like this. It’s possible to now look forward to my future. Thanks so much for your skilled and result oriented help. I will not be reluctant to refer the sites to any person who would like counseling about this topic. I adore this website – it is so useful and helpful.